Only registered users can save searches. 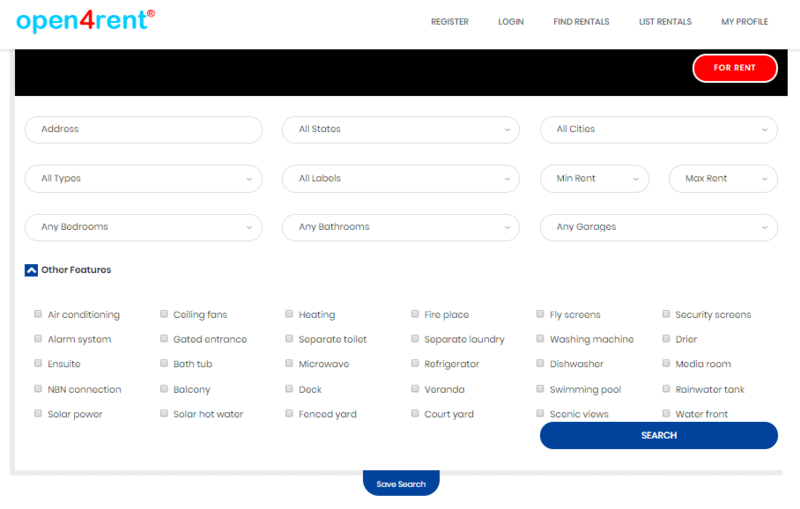 Select Find Rentals from the navigation menu. Click Search rentals using advanced filters. Select or enter the filters required. Click the Features down arrow to see all features and select features required. Click Search. Scroll down to see rental listings. Click Save Search if you want to save the search. Enter a title (name) for the search so you will recognise it. Click Save. The search is now saved. You can access the search from My Saved Searches. Delete the search in My Saved Searches if you want to stop receiving notifications. 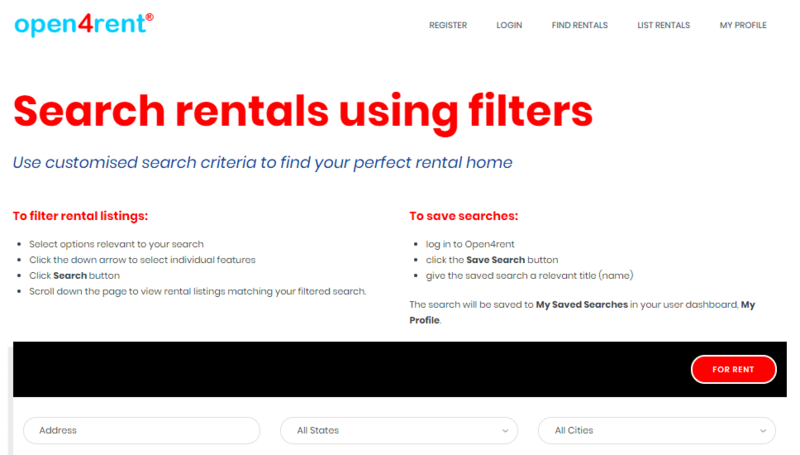 Use the find rentals page to search rentals with maps and filters. Use advanced search criteria to filter rental properties. 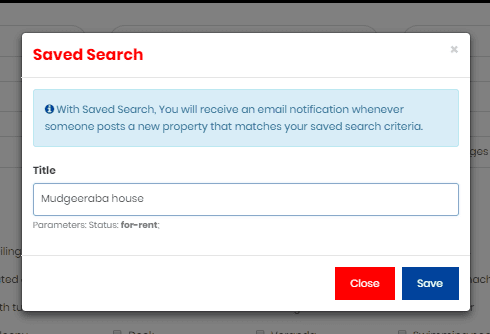 Select details and features to filter rental properties. Give the saved search an appropriate title. Saved searches are located in My Saved Searches in the user dashboard, My Profile.